Okay, I feel the need to explain the giveaways, since I didn't do that during the Loose Goose giveaway post. 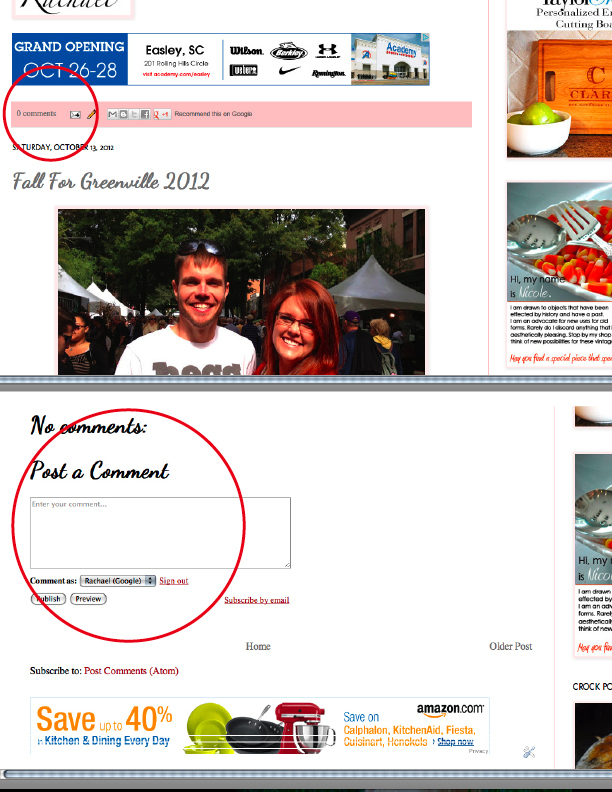 I host this small recipe blog. I know you could go to a big site like recipes.com to get some awesome recipe for dinner. But I'm glad you come here. I work at a small business. I've actually worked at several small businesses and consider this a small business. I support small businesses and vendors. Don't get me wrong-I'm no hippie, and while I love the USA, I occasionally shop at WalMart; however, when I do get the chance, I try to go to small business owners. I think it's important to do what we can. All that to say, I'm hosting this series of giveaways to involve you and to shed light on some great small businesses. That's what we did with the Loose Goose. That's what we're doing with Taylor Crafts. And that's what we'll continue to do through the next month (at least) as we prepare for the holidays. My hope is that it will bring some extra business to these great companies, like Taylor Crafts, and will provide you with unique gift-giving opportunities to loved ones. Unless, of course, you happen to win. Now, don't even get me started on this giveaway. 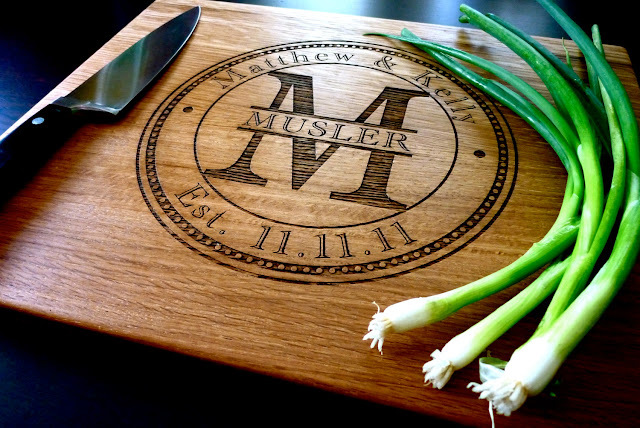 I'm in love with it, particularly because I have a slight obsession with cutting boards, let alone personalized cutting boards. This is one of "those" products that you will have forever, and it will always be a classic piece in your home. I was blown away at Belinda and Tony's willingness to be a part of one our giveaways. I sat in awe of their beautiful cutting boards thinking, "There's no way." But alas, here we are, and they are dying to share one of their creations with a very special reader. So, in true All Kinds of Yumm fashion, we're keeping it simple. Just answer the question below in the comments section below and it will automatically enter you in this giveaway! We will choose the winner at 5 pm on Sunday, October 21st. The winner will get the particular style shown. See? Press the easy button! Truth time: Have you ever done a disposable-Thanksgiving? Meaning, have you ever bought paper plates/containers, and just tossed it all at the end of the meal? I ask because that's my plan this year. Party City Premium Tableware, here I come! What are your thoughts on this type of entertaining? I mostly want to know because I want to know if that makes me trashy. I love my husband, but the man won't wash a dish, so I'm kinda' on my own in this department. Remember to answer honestly, as your answer doesn't determine who wins!